The U.S. Small Business Administration realizes that small business owners are often too busy to attend the many great activities that the administration offers during National Small Business Week … because you are busy attending to your small business. That’s why they stream many of those events online. Check out this year’s line-up here. Why not schedule some time next week to listen to the speakers, and most importantly, fellow small business owners, for fresh ideas on marketing, promotion, and partnerships? Regarding the latter, check out all the resources on the SBA website and start building a network among your fellow business owners to promote Small Business Saturday (Nov. 25) 2017 in a really big way. Want to learn from some of your peers? There are links to this year’s SBA award winning businesses from this page. DiveRite Case Study (as .pdf) from the Content Marketing Institute. And if you need help once you get that marketing inspiration, give me a call. Your initial consultation is free. 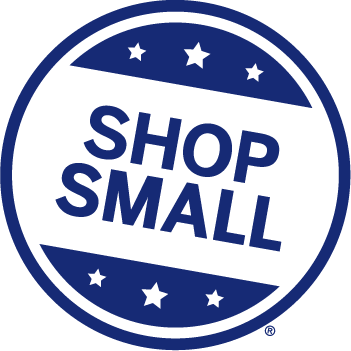 You formed a plan for Small Business Saturday. You rallied your fellow local merchants to join you and buy into the promotion. You’ve been spreading the news via social media and traditional advertising. It’s coming down to the wire. Don’t forget the follow through. Until now, it’s been about promotion, now it’s time to make sure you and your partners do what you’ve said you will do. The idea is that on Saturday you will be welcoming customers who have never been to your business before. Make sure theirs won’t be a one-time visit. Get a fresh set of eyes. Ask a trusted friend or family member to walk through your business and give you an honest assessment of its cleanliness, accessibility and overall customer friendliness. Chances are there’s some de-cluttering and extra cleaning to be done. Make sure employees are in the loop. Do all your employees, and that includes family/friends coming to help on the big day, know exactly which items are on sale or you want to push? Can they answer questions about refunds/returns? Can they give directions to other stores, parking, restrooms, restaurants? As the proprietor, you are going to be plenty busy on Saturday, you don’t want to get bogged down answering basic questions your own people should be able to answer. Capture that data! If you’ve not done so already, there’s still time to decide on a giveaway that will enable you to get contact information from many of your customers. A basket/bowl for business cards and also a simple paper form and pens are all you need. Make it something good to entice customers. Partner with other merchants for a big-ticket item. Doing snacks? Put someone in charge. Hot beverages and snacks likely are things you don’t offer most of the time, so make sure they aren’t forgotten by mid-morning. Select an employee to keep everything stocked and cleaned up. If you run out, then clear everything away ASAP rather than leave the mess out front for your customers to see. Don’t wait to debrief. Make your own list of things that went well and those that fell flat. Consult your employees/volunteers for their input. Then, make sure there’s a debriefing on the calendar with your partner merchants. If the shopping season is too busy for a 90-minute meeting until after the holidays, at least send out an email next Monday reminding your partners to make their own lists so those good insights aren’t lost. Share news of your success. If you have a great story to tell, submit it by Jan. 11, 2016 for consideration in the 2016 National Small Business Week Awards. If you need help telling your story, let me know. Mark Feb. 1, 2016 on your calendar. That’s when you will want to start planning for 2016’s National Small Business Week, May 1-7. Small business owners: You can’t go wrong when you’ve got star power behind you of this magnitude! Small businesses ignore social media at their own peril, however, so-called “old school” communications still have a part to play in promoting goods and services to your potential customers. The United States Postal Service has seen better days, and like many governmental entities, the post office can be a headache to deal with, but in some cases there simply is no substitute. Every Door Direct Mail is an example of what the post office does effectively. If you depend on holiday sales for your bread and butter and only do one mailing annually, the EDDM method could be perfect for your business. The biggest advantage of EDDM: You don’t have to create or purchase a mailing list. Like a social media presence, an up-to-date mailing list for your small business is a must, but if you are just getting started, the Every Door method is definitely the way to go. It’s a no brainer for grand openings/re-openings, too. The online tool helps you focus your efforts within a few miles of your small business by city and ZIP code. There is a minimum mailing of 5,000 pieces and EDDM offers a great deal of flexibility on the size and design of your mail piece. The tool guides you through the entire process. 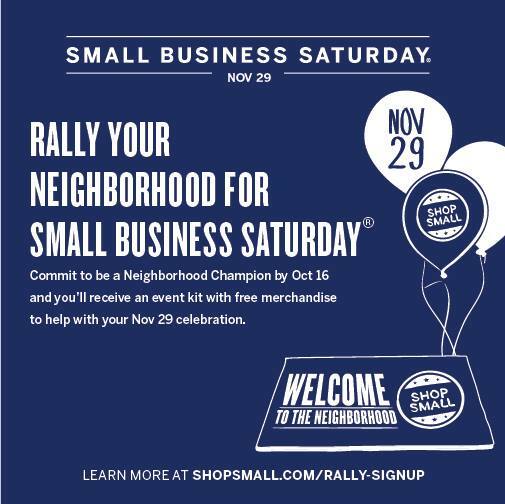 Fill up those mailboxes in advance of Small Business Saturday Nov. 29. Need help developing a plan? Contact me at danniewriter@gmail.com or (502) 432-8725. I’ve written about Small Business Saturday, a campaign to get holiday shoppers to support local merchants. It’s sandwiched between Black Friday and Cyber Monday and this year falls on Nov. 29. It is a great opportunity for small, local businesses to work together to promote their products and services. Established in 2012 by the 92nd St. Y in New York and the United Nations Foundation, Giving Tuesday encourages shoppers to include worthy non-profits on their gift lists. Last year, I gave gifts to World Vision on behalf of my close family members. Sure it’s fun to buy questionable sweaters and other gifts to place under the tree, but in recent years I’ve found myself purchasing more and more gift cards, which is pretty much the definition of impersonal. I’ve made plenty of missteps in the gift giving department over the years, so it is gratifying to purchase a piece of a reputable non-profit’s mission. Giving Tuesday donations jumped from $19 million in 2013 to more than $45 million in 2014. Last year there were more than 754,000 Tweets posted with the hashtag #GivingTuesday. To generate buzz about the effort, Giving Tuesday challenged supporters/donors of non-profits to post an UNselfie explaining why they choose to support their organization or cause. If you are part of the leadership of a local non-profit, or if you donate your time and money and want to find out how to encourage others to come on board, visit the Giving Tuesday website. There are many resources for download at no cost. There’s no time to waste! Dec. 1 will be here before your know it. If you need assistance email me at danniewriter@gmail.com or call me at (502) 432-8725. If you are working today, this post may be for you. But first, a history lesson, because I’m a geek that way. Most people probably know that Memorial Day and Labor Day were not created as bookends to the unofficial summer season. Unfortunately that doesn’t mean that most people know the history of those holidays. Now, back to Marketing Monday! If you are working today, thank you. More than likely you are in a job that makes it possible for millions of other people to have just about anything and everything at their fingertips for the holiday. If you are hoping to snag tourists at your restaurant, bakery or specialty store, I hope you’ve had a steady stream of customers. Labor Day marks the start of the sprint to the finish for retailers everywhere. Maybe this year you meant to tear yourself away from the everyday bustle of the business in order to develop a marketing plan, explore online opportunities or rally the retailers in your area for a blow-out holiday promotion. If some of that happened, good for you! If not so much of that happened, don’t beat yourself up, and don’t throw in the towel just yet. Small Business Saturday is Nov. 29. American Express is the “proud sponsor” of Small Business Saturday, and I’m sure they’d love nothing more than for you to start accepting their cards from customers, as well as, you starting a small-business account with them, but you don’t need either of those things to take advantage of the website, shopsmall.com. There’s a section on how to rally merchants and the community together to make the day fun and rewarding. The recommendations don’t come from some snooty economist or the like, they come from people just like you who got together, decided to try something new, and it worked. If nothing else, visiting this site should get your creative juices flowing to generate your own ideas. You are the expert on your business, sometimes it’s just a matter of taking the time to step away from the store, the cash register or the computer to think about these things. Find a quiet place, grab a cup of coffee and a legal pad and get thinking now. The grunt work comes in November but you should have your plans and your print promotion and advertising mapped out and budgeted by Oct.1 at the latest.